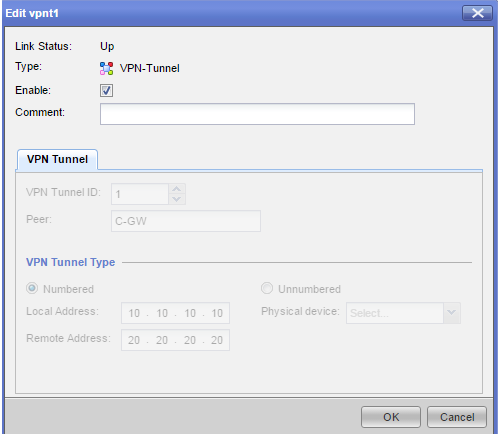 Numbered VTI (Virtual Tunnel Interface) is a route based VPN method to route VPN traffic. Route based VPN requires an empty group as the encryption domain. (This is because domain based VPN usually takes precedence over route based VPN). 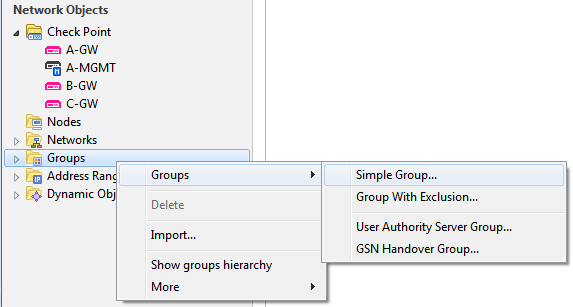 In SmartDashboard, right-click the 'Groups tab in the Network Objects pane > Groups > Simple Group...'. Fill in the Name and click "OK". Note: Assigning the empty group as the encryption domain of the Security Gateway will set route based VPN as the default choice. In SmartDashboard, in the 'Gateway object Topology tab > In the VPN Domain section > Manually defined', select the empty group that you created in step 1. NOTE: If same Gateway is participating in Domain based VPN then the empty goup should be added within the VPN Encyption Domain Group defined. 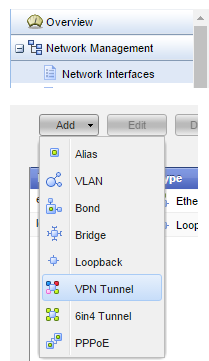 In the WebUI of the Security Gateways, select 'Network Management tab > Network Interfaces > Add > VPN Tunnel'. Assign a VPN Tunnel ID (Integer between 1 - 99 that must be identical in both of the peers' configurations). Write the remote Peer: name, exactly as it is written in the Gateway object in SmartDashboard. Choose "Numbered" as the VPN Tunnel Type. Enter the Local Address: and Remote Address: virtual IP addresses (It would be better to use public IP addresses). In SmartDashboard, in the 'Gateway object Topology tab > Get... > Interfaces with Topology > Install Policy'. Note: In a cluster environment, the changes need to be done on all the cluster members. After step 4 you will have to assign a VIP to the virtual interface added. In the WebUI, under 'Network Interfaces tab > IPv4 Static Routes >Add', specify the destination of the peer Security Gateway (For example - 192.168.1.0/24). 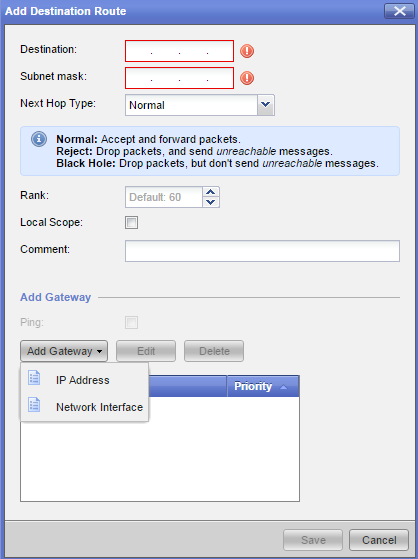 In 'Add Gateway > IP Address', assign the virtual IP address you assigned in step 3 (For example: 20.20.20.20). Note: Take into consideration that you will have to follow these steps for all the Security Gateways that will participate in the route based VPN using numbered VTIs (All the tunnel IDs and virtual IP addresses have to match on each Security Gateway).  type numbered - Defines a numbered VTI that uses a specified, static IPv4 addresses for local and remote connections.  local <Local IP> - Local peer IPv4 address (numbered VTI only) in dotted decimal format.  remote <Remote IP> - Remote peer IPv4 address (numbered VTI only) in dotted decimal format.  peer <Peer ID> - Remote peer name as defined in the VPN community. In SmartDashboard, in the 'Gateway object Topology tab > Get... > Interfaces with Topology > Install Policy'. Important: As per sk108958, numbered VTIs were not supported with CoreXL upto R80.10. Supported by default in R80.10 (due to integrated MultiCore VPN).